The Women of Saturn chronicles the lives of three women of different generations, all living in Montreal in the 1980s, connected and haunted by the same Italian village of their pasts. When high school teacher Cathy’s estranged childhood friend, Lucia is found beaten and abandoned in an apparent act of domestic violence, she takes Lucia’s teenage daughter, Angie, into her home. An aspiring writer, Cathy resolves herself to giving Lucia a voice through her writing – and in doing so, relives their journey from Calabria to Canada in 1957, her own family’s difficult years after their arrival in Montreal, and the exhilarating, corruption-ridden period of Expo 67. Gripping and as satisfying as southern Italian cuisine, The Women of Saturn is an important and unforgettable story about the female immigrant experience, and the inescapable impact of the past on our post-modern present. 1967 was the most exciting time to be living in Montreal. To mark Canada’s centennial, the city hosted a world fair, Expo 67, and it opened its doors to visitors from all over the world. The Fair provided the illusion of travel, and a vision of the world containing different worlds. Tickets to the fair sites and newly built amusement park, La Ronde, were sold as passports. We could skip and jump from pavilion to pavilion—from Canada, to Russia, to France, to Ethiopia, and back to Canada―as often as we wanted. Along the waterfront, at Cité-du-Havre, they built Habitat 67, a unique apartment building structure. It resembled a Mediterranean village perched atop a mountain. The logo for Expo 67, called Man and His World, was a circle of men with outstretched hands. He showed up at our apartment one evening to pay his respects to my mother. It had been three years since our trip to Italy, but no other man that I met or had courted me since could measure up to him or intrigue me more. His surprise visit exhilarated me. He had been staying with friends, and said he'd fallen in love with the city. He'd decided to prolong his stay, and even hoped to look for work. He was really impressed by how well my brother and I were doing with our new business. Before he left our house, I pulled out my Italian books, and spoke to him about the Italian literature courses I was taking. “So you know three languages? I’m amazed,” he said. “Yes, I can write better than I can speak, though, in all three languages.” I went on and told him I liked writing. “Oh, do you write poetry?” he asked. “No, I’m not much good at poetry. I like to write stories, stories about the past, about Mulirena,” I replied. I had always remembered him by the languid look of his eyes. Being finally so close to him, I knew I could easily get lost in them. I wished I could spend more time talking to him about all the things I wanted to write about, though I found it difficult to explain exactly why I wanted so badly to do so. But I just mumbled: “I want to preserve my memories” and was embarrassed to hear him reply, “The only thing worth preserving is giardiniera, and even then, if kept too long, it becomes soft and rancid.” Maybe he noticed that his remark had put me ill at ease, and he added, “My English is not very good, but I’d like to read one of your stories.” He'd studied English and could read it, he explained, but he spoke better French. That is why he liked Montreal so much. I left him with Mother to run to my room and quickly tear out, from one of my notebooks, a piece about my fourth-grade teacher, Signor Gavano, and gave it to him. As he left, I invited him to attend Italian Day at Expo, which was coming up soon and during which I would be working as a hostess at the Italian pavilion. 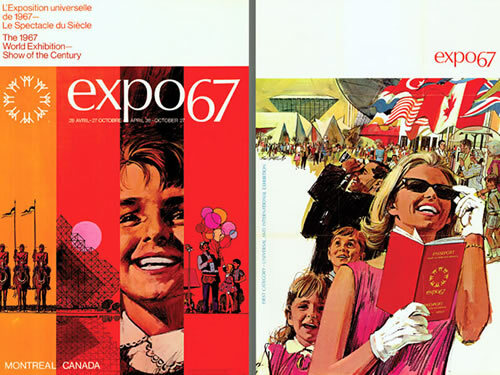 At Expo 67, each nation had its own day set aside for celebrating its ethnic character. All at once, it seemed chic to show off one’s heritage, and every nation tried to outdo the others in pageantry and folkloric displays. I had been recruited by the Italian Consulate to work as a volunteer at the Italian pavilion for the day. When I saw Totu and two friends walk toward me, my heart skipped a beat. He introduced me to Franco, whom I recognized as the editor of one of the local Italian newspaper, and Chantale, a tall Quebecois woman with stringy hair, no make-up, and gold-rimmed glasses. “I still can’t get over how grown-up you are; you’re a real signorina,” Totu said. He invited me for coffee at the Italian bar while his two friends checked out the pavilion. He said he had made some connections in the Italian community, and Franco had offered him a position as a writer for his paper. I asked him if he had read my story. I sipped nervously at my empty espresso cup. “Ah! A little universalist,” he said, smiling and amused.” If that’s what you want, use your imagination then. Invent!” He spoke at length about the writing process while I soaked in everything he said with adoring eyes. He reached his hand across the table, as if to stroke mine, then hugged me and kissed me on the cheek, just as Franco and Chantale returned. He moved to leave, but not before making plans to go sightseeing the following Sunday. “Totù, quel genre de nom est Totù ? Allons-y, mon Grand Antoine,” Chantale said, as she slipped her arm in his. “Allons-y,” he said smiling. He looked back at me sheepishly. I didn’t really think a man like Totu would be interested in a type like Chantale—a serious bespectacled woman who smoked non-stop—or in a married woman—Lucia— with a baby and no cultural interests, when there were so many available young women in Montreal. Throughout the week, I reworked my story on the sea voyage and titled it The Women of Saturn. I fretted about whether to keep all the details of Lucia cavorting with Armando and Nicodemo, but I couldn’t bring myself to cut them out and I even made up some of the dialogue. The story would not be the same without those parts. I had always been afraid of the height, the speed, the force of the wind on my face that took my breath away. But he dared me to go with him on the scariest ride in the park, and without batting an eye, I followed him. Île-Sainte-Hélene's flaming colours sparkled below us as the train ascended the steep rails to the top of the man-made steel mountain, and then dropped. It was like free falling into flight while holding hands with someone special. After the first drop, I looked forward to the next, and then the next, and I thought I could follow Totu to the highest precipice without fear. We ate smoked meat sandwiches and Belgian waffles filled with ice cream. He talked non-stop about his love for Rome, his work in the Communist youth movement, and his decision to leave Italy when, at the same time, his dreams of social equality and of a career in journalism began to fade away. Montreal, he said, made him feel alive. He seemed genuinely amused by my hairdressing stories of fussy matrons wearing wigs and hairpieces, and laughed out loud when I told him some stories about fake-breasted waitresses from the Crazy Horse Saloon. Walking next to him, I marveled at how magical his unexpected appearance into my life had been, and my imagination soared, thinking of all the things we could do together. He’d tutor me in my writing, discuss Italian literature with me, and open up a world of words to help me untwist my tongue so that I could claim the language I had never quite mastered. It was late afternoon when we finally left La Ronde, and we drove to the lookout on Mont-Royal, to see a panorama of Montreal by night. As the sun set, the city lights lit up slowly, casting shadows at the blazing mountain around us. It was too beautiful an evening not to take a walk into the treed path. We walked and walked and found ourselves in a cemetery. There we found a clearing and we sat on the grass. He brushed his lips to my face and I closed my eyes, and completely forgot where I was. When I reopened my eyes, dusk had already set. “We have to go,” Totu said. “I have an appointment to meet a friend in less than an hour.” I walked as if in a daze, disoriented and embarrassed. I couldn’t recognize any of the reference points we had passed earlier. As we walked, looking for the path back to the paved road, I wanted to remind him of the night I had sat alone in the twilight, across from another cemetery, while he and Lucia disappeared in a ravine, attempting to elope. About the ominous vroom-vroom of Alfonso on his motorcycle, who saw me and discovered the tryst and caught up to them. About the shattering of water jugs on rocks and finally, the dreadful emptiness I’d felt when I picked up the pottery shards knowing my water jug would never be made whole again. But I kept that all to myself, figuring that what I remembered, he’d want to forget, and that it wouldn’t matter anymore now that we had found each other. All the past hurts, the drought, the yearnings were coming to an end, and all would be healed. When we finally made it back, I rushed to drop Totu off on the corner of Jean-Talon and Côte-des-Neiges. As he got out of the car, I pulled out my sea voyage story, and timidly gave it to him. He seemed surprised and in a rush, folded it, then stuffed it into his jacket pocket. He told me he’d call me soon and thanked me for having been such a "good little guide." “It’s what I do best,” I said, and he squeezed my knee as he left the car. I was disappointed that we would not spend the evening together. I drove away with a heavy heart. But instead of driving back east, I circled around the first side street, and parked strategically, in full view of the traffic-heavy intersection and Totu waiting at the bus stop. I figured he’d be meeting Chantale. When a blue Impala honked and then stopped, my jaw dropped. I saw Lucia open the passenger seat door and Totu jump in. I felt fresh resentment for the willowy woman with the heart-shaped painted lips and head of feathery curly hair that framed her tiny face like an aura, who was, once again, cheating on her husband and getting in my way. For days, for weeks, for months, I waited by the phone for the call he had promised me. I reviewed each moment of our day and wondered what I might have done or said to offend him or put him off. Had I been too cheerful, too quiet, too yielding to his touch? Maybe I had become too Canadian for his taste, or maybe I had remained too Calabrian. If love was more than he had to offer, why couldn't he just call me—as a friend—to talk about my writing? When I gathered enough confidence to call him, and ask about my manuscript, he apologized profusely and told me he had lost it. I recalled the folded bulky envelope protruding from his jacket pocket, and I had been afraid it would fall out. Maybe he dropped it in Lucia’s car. Could she make out her name in the writing if she found it? Maybe they too went to the mountain and laid on the flaming ground. Could the manuscript be buried in a bed of autumn leaves? It was my only copy and it had meant so much to me, but he must have thought it pretty unimportant if he misplaced it so easily and I didn’t deserve even a telephone call as explanation. Then, at the end of October, all my hopes were crushed when I heard that he had entered into a civil marriage with Chantale, and that he would be settling in Montreal with her. Oddly enough, when I tried writing about our day together, I felt as humiliated by having been led too easily down the treed path by Totu, as I felt guilty by having deceived Lucia on two counts: by desiring Totu for myself and by what I had revealed in my story about her. Lucia had trusted me with her indiscretions and I had betrayed her just to show off to Totu, who deserved neither of our affections. The childhood guilt of having been so inept at helping Lucia in her elopement plans resurfaced again, even if I knew how irrational that guilt really was. I couldn’t help but imagine Lucia’s heartbreak when she heard about his marriage. I had only desired him for a while, but he had been her first—and maybe only—love. I wrote a prose poem in a trance, and I couldn’t decide whether to write it for myself or Lucia. So I wrote it for both of us. I felt bound to her by the same pain I knew she was suffering. When I was done, I threw everything in a box, and put it out of sight. “It’s too good a story to let die. It just landed in my lap,” he says, with a mischievous smile on his face. “That thing about Angie being an illegal student … someone else picked up on that, I swear.” Antonio places his hand on his chest. “I don’t know what you mean by blame, but when did you become so outspoken, Caterinella? You were always so quiet.…” His voice trails off, as if he were sorry to have brought up the subject. “Yes, maybe too quiet and … agreeable,” I answer. Antonio looks down at his desk for a few seconds before speaking. “Yes. There’s some unfinished business between us.” I look directly into his eyes. “You were a child,” he says gravely. I open the envelope gingerly, puzzled. It’s the missing stories from my pile of notebooks in my room, including the prose poem that had caused me so much pain to write. “Well, aren’t you?” I feel like asking but I hold my tongue. “I understand that,” I manage to say. “You really don’t know anything about Lucia’s life here in Montreal … the people around her.…” he says. He cuts me short. “Angie tells me you’re still writing. You haven’t given up, have you? What are you writing about now?” he says, sounding annoyed. “I thought you hadn’t even read that story, that you had lost the manuscript,” I say. “I had looked at it quickly, before … misplacing it,” he says dismissively. “Let’s go for a walk,” he said and we left the lookout on Mont-Royal to explore the city forest, all fiery-red leaves that shone like small fires in the moonlight, and that crackled under our feet. I listened to his mellow voice as he talked. He hugged me and we stopped in a clearing. He embraced me and his lips touched mine. He kissed my face, and then his tongue moved up and down, past my opened blouse to my neck and my breasts, before returning to my lips, and to the inside of my mouth, until I completely forgot where I was. I found myself falling on the leaves, the world opening up to moist lips, tongue on tongue, warm hands on legs. I would have followed him to the depths of any forest as he moaned and pulled my head, my lips, my mouth, my tongue to his pulsating skin. I closed my eyes as he rose up and up, and then my body fell down next to him and we lay quiet, as though asleep on a bed of leaves. It took us forever to retrace our steps to the lookout, picking leaves off each other’s clothes, getting lost in the mountain cemetery, in a maze of tombstones, while Saint Joseph’s Oratory loomed like a fat, disapproving chaperone ahead of us. “I’ll call you,” he said to me … to her. For many days, weeks, months, we waited for the sign that he would return us to life. We continued as if nothing had disrupted the monotony of our daily existence, but at times, the weight of the silence pressed so heavily on our fractured heart and soul that we feared we might crack into a thousand bits and pieces. Sunlight dissolved into blankness as another Indian summer slid past us, leaving nothing ahead but another November and another death. Co-director and President of Guernica Editions, Connie Guzzo-McParland has a BA in Italian Literature and a Master’s degree in Creative Writing from Concordia University. Upon graduation from the Master’s program, she received the David McKeen Award for creative writing for her thesis-novel, Girotondo. In 2005, an excerpt from this novel, On the Way to Halifax, translated into Italian, won second prize at the ninth edition of the Premio Letterario Cosseria in Cosseria, Italy, and consequently published in Un Crocevia…(2005). 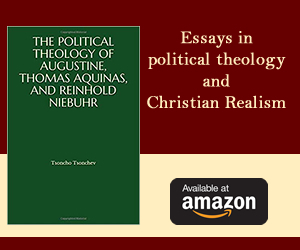 Other excerpts have been published in various anthologies. Her novel The Girls of Piazza d’Amore was published by Linda Leith Publishing in 2013 and shortlisted for the Concordia First Novel Award by the Quebec Writer’s Federation. 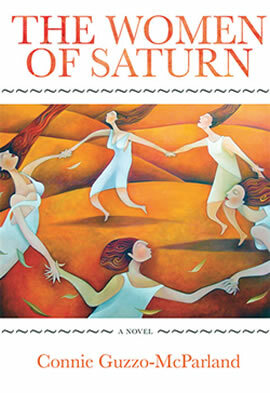 Her next novel, The Women of Saturn, was published in May 2017 by Inanna Publications. She has two sons and lives in Montreal.